Welcome to Holy Family School, an incredible school enriched by our Catholic faith that serves fewer than 500 students in preschool through 8th grade. Steeped in history and built on a spirit of volunteerism and community, we are dedicated to the belief that each student is a child of God. As such, we work to challenge students to embrace the Gospel message, to achieve academic excellence and to make a difference in the world. Each of our programs is geared towards empowering students to become intentional disciples of Christ, critical thinkers and life-long learners. When our students complete their education here, they are ready to meet the challenges of the future. The Holy Family Catholic School community, believing that each student is a child of God, challenges each student to embrace the Gospel message, to achieve academic excellence and to make a difference in the world. Along with a core curriculum of language arts, math, science and social studies, all Holy Family students take weekly classes in physical education, music, library, Spanish and art. Students in kindergarten through 8th grade also attend weekly computer classes. We have excellent learning and technology resources, highly qualified teachers and small class sizes. Our school is accredited by the Michigan Non-Public School Accrediting Association and is a member of the National Catholic Education Association. At Holy Family, we teach, learn and live in the light of Christ through the celebration of the sacraments, prayer, daily religion class and service to others. Our students, faculty and staff celebrate weekly Masses, attend reconciliation three times a year starting in 2nd grade and participate in weekly eucharistic adoration. We offer students opportunities to serve at Mass, sing in the choir, read and participate in other ways to serve our Lord. Each grade level has its special moments, such as when 3rd graders visit area nursing homes to celebrate Mass and 8th graders visit the Father Solanus Center, and all grade levels support Catholic Charities and other monthly service projects for those in need. Our priests also make themselves known to the students with daily visits and conversations on an individual and group basis. Holy Family School offers a wide range of enriching and extra-curricular activities to enhance our student’s learning opportunities. We offer choir, Mass server and reader opportunities, spelling bee, geography bee, Quiz Bowl, Rock Club, Lego Robotics Club, Spanish Club, Art Club, Homework Club, Student Council, National Junior Honor Society, Scouts, Story Hour and the Holy Family Running Club. 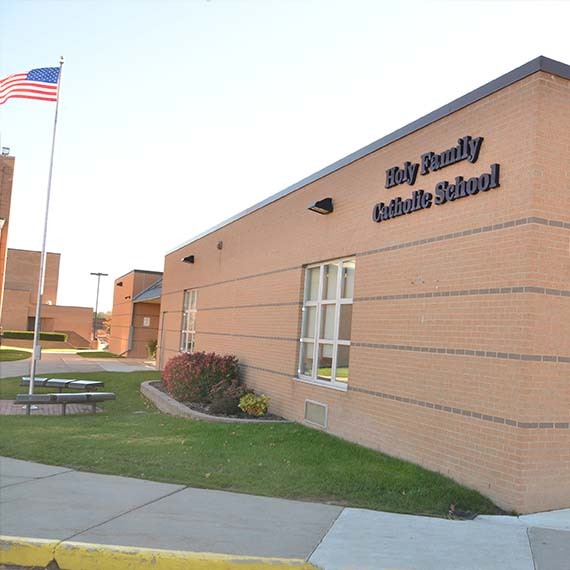 Holy Family also participates in the Flint Area Catholic Schools league and offers an extensive athletics program for students in 5th-8th grade that includes basketball, softball, baseball, football, cheerleading and volleyball. If you are interested in sending your child to Catholic school but are concerned about the cost, come talk to us. 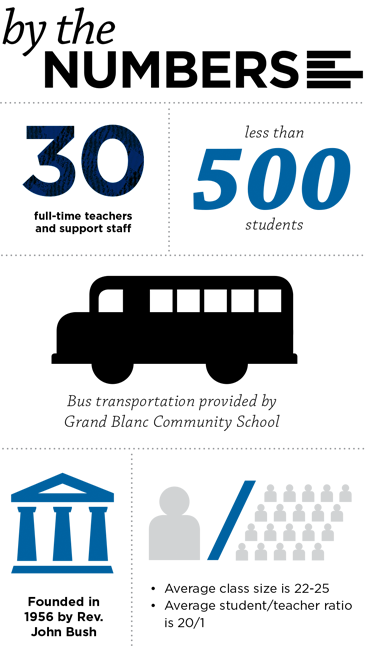 Tuition assistance, including scholarships and financial aid are available.